With Valentine’s just around the corner we’re fairly certain many of you have yet to buy a present for your loved ones. Perhaps you’ve just been too busy or did not have enough money for the right gift. Either way, there is no need to be worried! Rizk Casino is here to help you with a €6,000 shower and we’re sure anyone whose favourite temperature is money will enjoy it. Rizk Casino will be dripping cash from 13th through 15th February 2019 which is to turn into a proper cash shower with €2,000 rewarded the following working day of the promotional period and for a total of €6,000. Players can win more than one cash drop which makes it even more exciting. With no cap on winnings or withdrawals, we know you will flock down to Rizk Casino hoping to get your hands on the prizes. 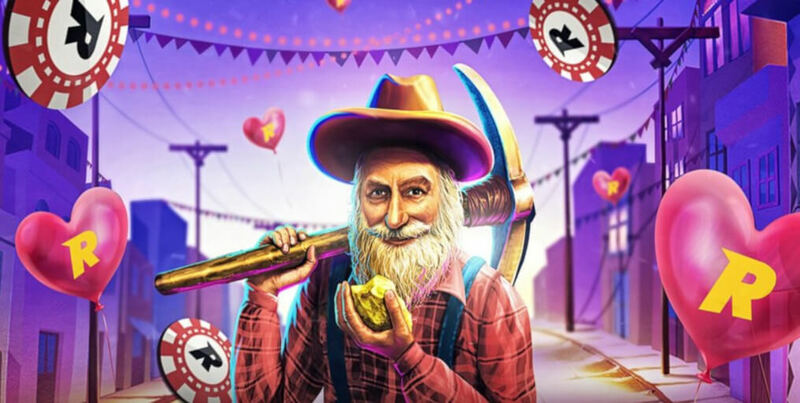 The total of 42 winners will be in for a prize every day during the promotional period – but – only if they play the right games this Valentine’s. Premium slot developer Pragmatic Play has been selected as the proud sponsor of this year’s celebration with three of its popular titles. Ready for the cash shower?